Poetry defeats poems. Beguiled by this decorous paradox, Ben Lerner’s The Hatred of Poetry evades the art’s difficulty and strangeness. Ben Lerner is the author of three volumes of poetry and a professor in the MFA program at Brooklyn College. He is also a recent recipient of a MacArthur “genius” grant. Poetry has been good to him, yet judging from his two novels, Ler­ner refuses to return the favor. Leaving the Atocha Station (2011), which borrows its title from a poem by John Ashbery, is the story of an American poet who puts myriad diversions between his desk and the long poem that he has gone to Spain to complete. The narrator of Lerner’s second novel, 10:04 (2014), is a poet who has left poetry behind and is working on a second novel. A paradigmatic poem for Lerner is Emily Dickinson’s “I dwell in Possibility.” He argues that with the poem’s concluding image (“The spreading wide my narrow Hands / To gather Paradise —”), Dickinson defines the poetic occupation to be “spreading wide the hands, not containing anything.” The lines emphasize the potential over the actual, the ideal of poetry over the imperfections of poems. In the end, he contends, Paradise is never gathered; it remains unheard. Like critics before him, Lerner casts Dickinson as a poet undone, if not defeated, by her ambition. 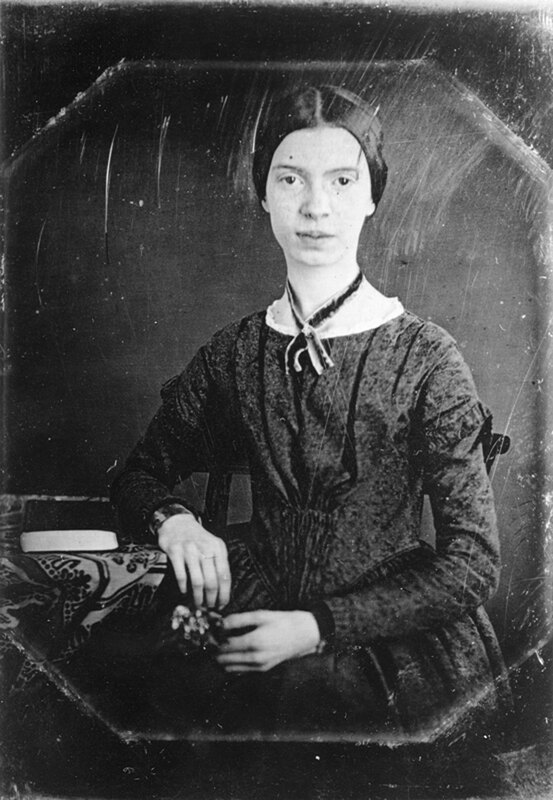 (“I dwell in Possibility” was one of the roughly 227 poems she wrote in 1862; the previous year, she had written 88.) Yet Dickinson’s elusive, flinty poems tell a story very different from Lerner’s programmatic reading: “The Soul selects her own Society / Then — shuts the Door —.” Dickinson’s language is deceptively simple, delighting in paradox: “A Death blow is a Life blow to Some / Who till they died, did not alive become.” Death, or a drastic ending or limit, it seems, could lead one to dwell in possibility. The death blow isn’t necessarily catastrophic. What does it mean to be carried away? To be captured, carried off, liberated? To lose control of oneself? Lerner doesn’t show concern for questions like these. More generally, The Hatred of Poetry takes little interest in the rarities of technique across a poet’s body of work and avoids questions about his or her sense of history. Three decades ago, the poet Susan Howe suggested, in My Emily Dickinson, that “My Life had stood — a Loaded Gun” could have been inspired by an 1861 Atlantic Monthly essay about Nat Turner’s slave rebellion. For Howe, Dickinson’s consciousness of the gap between the actual and the ideal is not simply a matter of poetics. Although his arguments are hampered by summary judgments and blind spots, Lerner often writes with flair. The avant-garde, he offers, “hates existing poems because they are part of a bankrupt society.” Consequently, an avant-garde poem is “an imaginary bomb with real shrapnel…. a weapon against received ideas of what art is.” Lerner, who considers himself an avant-gardist, stresses that poets aren’t alone in hating poetry. He criticizes journalists who denounce poems for failing “to be universal, to speak both to and for everyone in the manner of Whitman.” This is true, but Lerner has written a Denounciad of his own that allows poets no alternative to anyone’s hatred. His assault on the populist premise that poets should aspire to reach a wide audience is relentless, and he remains hostage to it. It’s as though he’s admonishing a child for believing in the tooth fairy, and with each reprimand the fantasy is revived. Like the poet-narrator of Leaving the Atocha Station, Lerner evades the difficulty and strangeness of poetry instead of exploring them. He discusses a variety of poems, from Caedmon’s Old English Hymn to those included in Claudia Rankine’s recent best seller Citizen, but nothing of great consequence comes from his analysis because his conclusions arrive at the same destination: “‘Poetry’ is the word for a kind of value no particular poem can realize.” Beguiled by a decorous paradox, Lerner fails to grasp an essential, and potentially liberating, one. James Longenbach describes it succinctly in The Resistance to Poetry: It’s that poets “tend to be suspicious of their own designs, forcing their best discoveries against the wall of their limitations.” Dickinson knew this. A death blow can be a life blow to some.